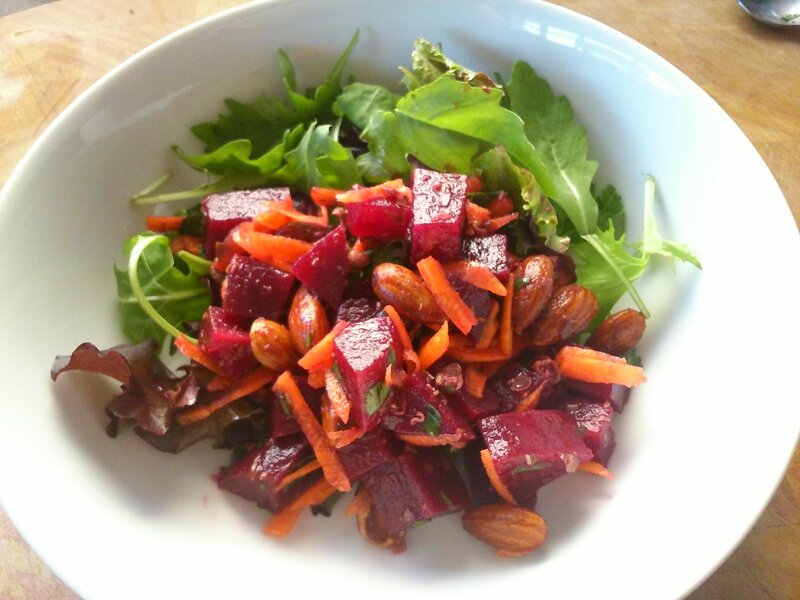 I made this salad as a quick side dish, but it was so lovely I thought I’d share the recipe! It’s sweet and earthy from the root vegetables, creamy and nutty from the almonds, and the dressing of tangy salty capers and parsley finishes it off beautifully. It’s best to let it sit for at least half an hour before eating to let the flavours come together. Mix the beetroot, apple cider vinegar, capers and parsley together in a bowl. Then fold in the carrot and almonds. If you mix it all together at the same time everything will be pink from the beetroot!